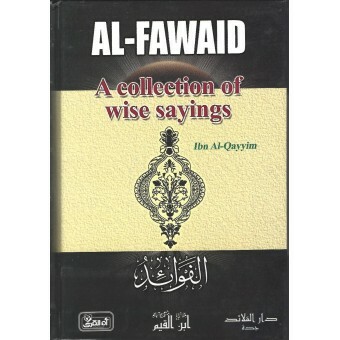 This book is one the well-known compilations of Imam Ibn Qayyim Al-Jawziyyah (may Allah have mercy upon him). This blessed book is not like others that simply contain sections, chapters and themes, but it consists of the elevated thoughts that Allah, Exalted be He, bestows upo some of His servants as he wills. So whenever any of these scattered pearls of wisdom occurred to the Imam, he would immediately record them. Whenever something came to his mind, he would record it, and whenever he learned a lesson or anything crucial in his life, he would illuminate the lines of his page with the ink of his pen. This book consists of landmarks of guidance and light, and the firebrands of piety that Ibn Al-Qayyim pondered in the fields of piety, asceticism and vivid exhortation towards the truth. He focuses on the role and duty of the hearts, and makes them clear to us to the extent that we are moved and motivated to learn and practice them. He explains to us the diseases of the heart so we may know how to avoid and overcome them. Dear reader, here is the book. Take it as one of your close friends, and when you find life's difficulties facing you, read it and ponder the meaning that is applicable to you. Surely you will find your way out, for you will be living in the world of insight, where there is permanent comfort, the yearning to be close to the Lord of the worlds and the strong desire to enter the Gardens of Delight.